Spread Your Wings is a photograph by Bob Hislop which was uploaded on January 20th, 2013. 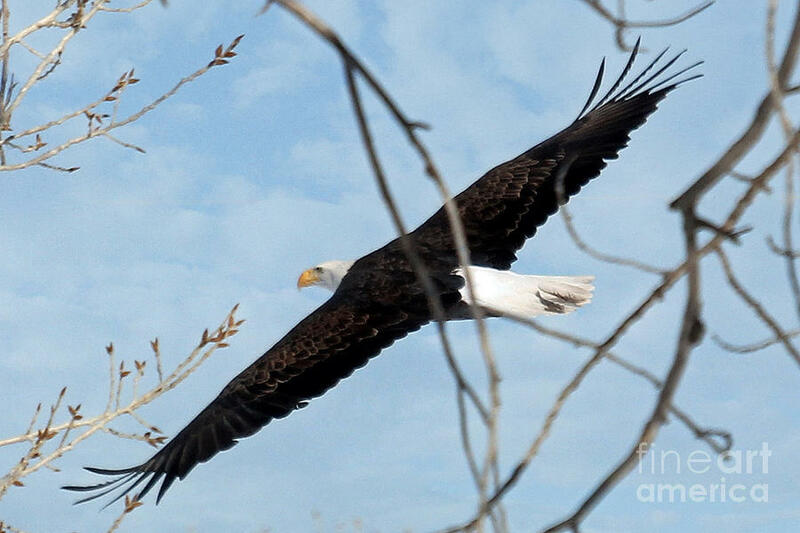 This American/Bald Eagle, Haliaeetus leucocephalus, has just left his/her nest and is circling toward the Colorado River, spreading his wings to reach new heights. The Bald Eagle is very common in Alaska but in the lower forty-eight states until recently were almost nonexistent. However, the efforts by conservationist, state and federal wildlife agencies and other interested parties there has been a resurgences of Bald Eagles in the lower forty-eight states. The Bald Eagle usually makes their nests in the top of trees or on cliffs. The feed mostly on fish and can be found near lakes, streams, rivers and seacoasts. The word bald in old English meant "white headed", thus the bald eagle the symbol of American freedom around the world. Love how you captured this eagle. Great job! Very majestic, great capture. V.
Another great one Bob! V.